Unemployment is still a major problem in the community of Nyakallong, this area is just few kilometres North of welkom, free state province. 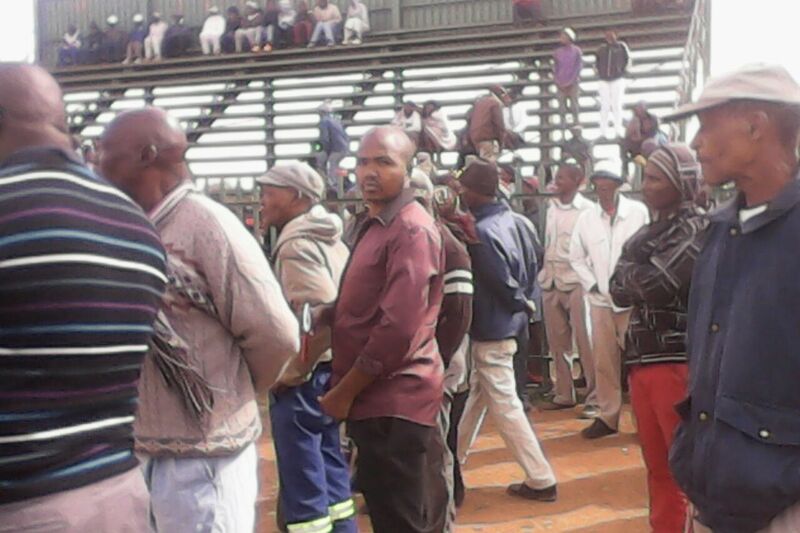 About 300 unemployed people are regularly attending the unemployment forum every Thursday. They go there with a hope of getting jobs at the mines. In the year 2014 the target 3 shafts was closed down, it was reported that the main reason for closure being of not making a profit but a loss to the mining company. The new opening is estimated to at least employ 1000 people. This is good news to those who are unemployed but then again it brings up questions. With the recent miners strikes around the country demanding a basic salary of at least 12 500 will our people get it? Will the wanted profit be of a good use in community development and sustainability? Will there be a safe and healthy working environment? Will woman be considered as well in this employment? Will the health of worker be taken into consideration as well?. All the above questions have always been a struggle to attain.